My Life as a Dog: I Got a Bag of Crap! Yay! I finally did it. And no it was not on fire on my doorstep. I'm talking about the Bag of Crap that I have been working for years to obtain. Up until now I've only known a few lucky Wooters that have obtains such a reward. I figured that I better hurry and blog about it because once it gets here I might not be nearly as excited once I realize that it really is just crap. 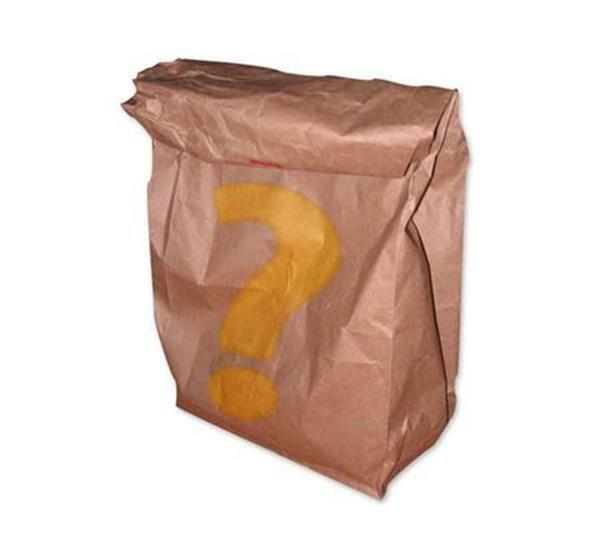 For all you uninitiated, a Bag of Crap is an item that comes up for sell on Woot. Typcially they come up for sell when Woot is having a Woot-Off. You see, normally Woot sells one item each day until it sells out or until the day is over. But when they are having a Woot-Off they sell items until they are sold out. The items change through out the day. If you are lucky you can happen to espy a Bag of Crap and if their servers are not overloaded you might even be able to purchase one. A Bag of Crap is three items that each cost $1 and then you have to pay $5 shipping. Just because it only cost $1 doesn't mean that is it's real value. In fact, there are rumors as to how one of the items might be a flat panel TV. Okay I've never known anyone to actually get one of those but a boy can dream, right? I've hear that sometimes you get a letter instead of an item. This is a good sign because it's supposed to mean that the item was too large to fit in your bag. Then again these could all just be urban legends. If I win big I will blog about it and it not I will pretend that I never purchased such useless crap.